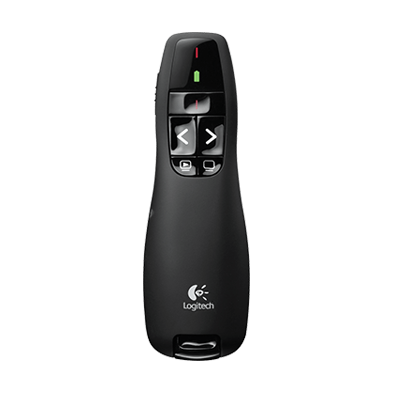 LOGITECH WIRELESS PRESENTER R400 Buttons are easy to find by touch. And the smooth contours feel great in your hand. You’ll be in control from the first slide to the last.